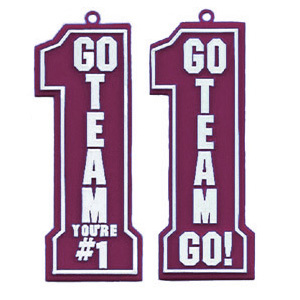 These trinkets are shaped like a "1" and designed in two styles - one says You're #1 and the other reads "Go Team Go". You get 12 of each design. 24 per pack.